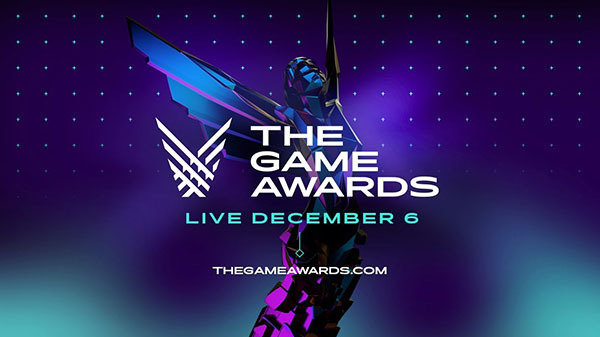 The Game Awards 2018 will begin shortly—at 5:30 p.m. PT / 8:30 p.m. ET—with a 30-minute pre-show ahead of the event. Presenters include Jonah Hill, Christoph Waltz, The Russo Brothers (Avengers), Pepe the King Prawn, Aisha Tyler, Joel McHale, Rosa Salazar, Rivers Cuomo, Brendon Urie, Tyler “Ninja” Blevins, JackSepticEye, Phil Spencer (Xbox), Jeff Kaplan (Blizzard), Shawn Layden (PlayStation), and more surprise guests and game developers. The Game Awards Orchestra, conducted by composer Lorne Balfe, will celebrate the rise of video game music with a series of performances featuring special guests, composers Hans Zimmer, Harry Gregson-Williams, Lena Raine (nominee, Celeste), and Sarah Schachner. In addition, the song “Devil Trigger” from Devil May Cry 5 will receive a live performance. The Game Awards 2018 promises “world premieres from Fortnite, Obsidian Entertainment, Anthem, Far Cry, and more than 10 new game announcements.” Announcements from Xbox, Dead by Daylight, and Magic the Gathering, as well as new trailers for Rage 2 and Ancestors: The Humankind Odyssey have also been teased. Xbox Live’s Winter of Arcade will also be detailed. Rumored among the new announcements are a Crash Team Racing remaster and a new Dragon Age title. There have also been hints of Metroid Prime 4 and something Super Smash Bros. Ultimate-related, something from Simogo, something from Platinum Games, an Alien game, and Borderlands 3 (1, 2, 3). Watch the live stream below. It is also available on Twitch, Twitter, Facebook, Mixer, Steam TV, PlayStation 4, Xbox Live, IGN, GameSpot, Polygon, MLG, Caffeine.tv, and more.